XLS Repair Tool is an advantageous data recovery solution designed to recover corrupt Excel files within a few clicks. Powerful yet easy to use software supports restoring XLS files, while preserving original formatting. The program's advanced capabilities include repairing formulas, hyperlinks, comments, diagrams, pictures, VBA macros and cell data of workbook. - "This file is not in a recognizable format"
- "The document is corrupt and cannot be opened"
- "Unable to read file"
- "Microsoft Excel has encountered a problem and needs to close"
- "Error EXCEL.EXE" or "Error MS09.DLL"
- "EXCEL.exe has generated errors and will be closed by Windows"
If you don't have an Excel data recovery tool, this messages means that you will have to recreate important XLS files manually, the task which would be at least difficult and time-taking, and sometimes even impossible. But with XLS Repair Tool you don't have to do it, as the program can restore XLS files within a few clicks of a mouse. diagrams, pictures, VBA macros and cell data of workbook. Zip File Repair Tool to repair corrupt zip file. Repair Broken Zip File. Qweas is providing links to XLS Repair Tool 2.0 as a courtesy, and makes no representations regarding XLS Repair Tool or any other applications or any information related thereto. 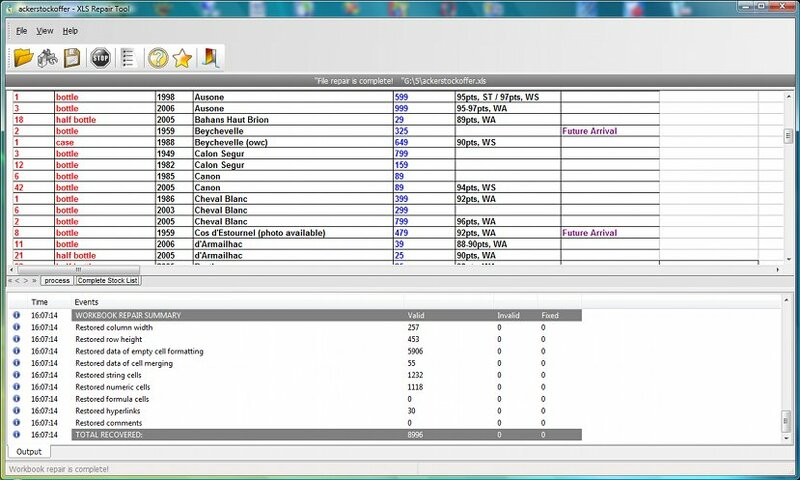 Any questions, complaints or claims regarding this application XLS Repair Tool 2.0 must be directed to the appropriate software vendor. You may click the publisher link of XLS Repair Tool on the top of this page to get more details about the vendor.